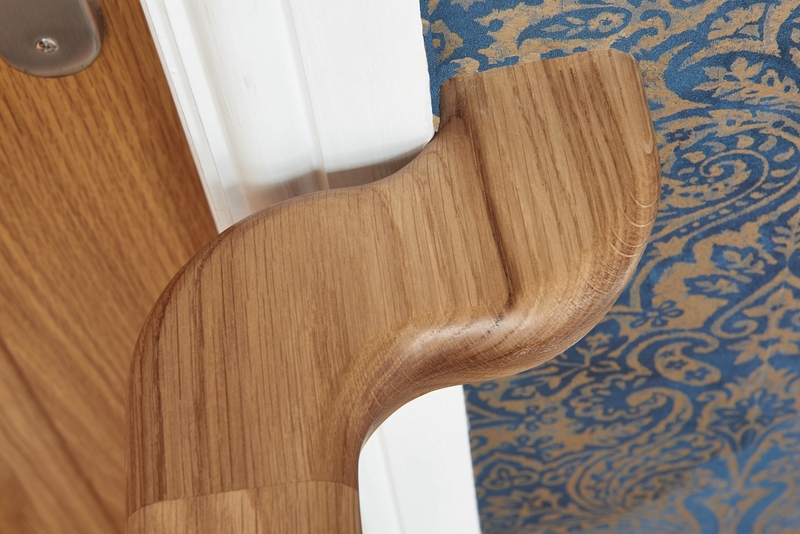 In our latest customer story, we take a look at the staircase refurbishment that we worked on for a couple and their two children in the Shrewsbury area. They had a great experience with us at Jarrods but decided that they’d prefer to remain anonymous, which is fine with us. We’re just happy to share their story. We’re going to refer to them as the Blue family because we love their blue and gold statement wallpaper. 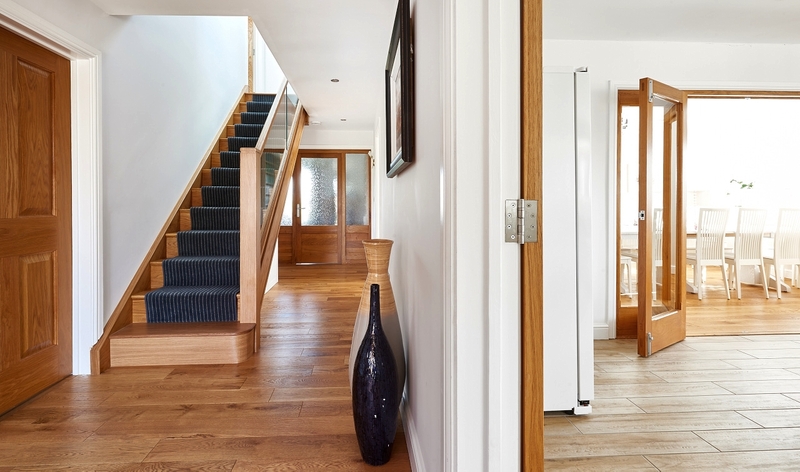 The new staircase combines an oak framed staircase with the addition of glass panels. 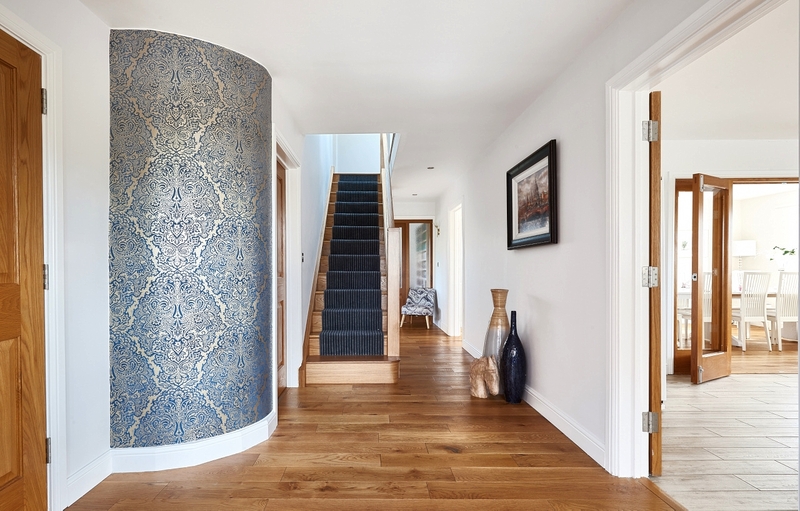 A run of handleless cupboards under-the-stairs gives the family plenty of extra under stair storage space whilst also maintaining a streamlined, uncluttered entrance hall. 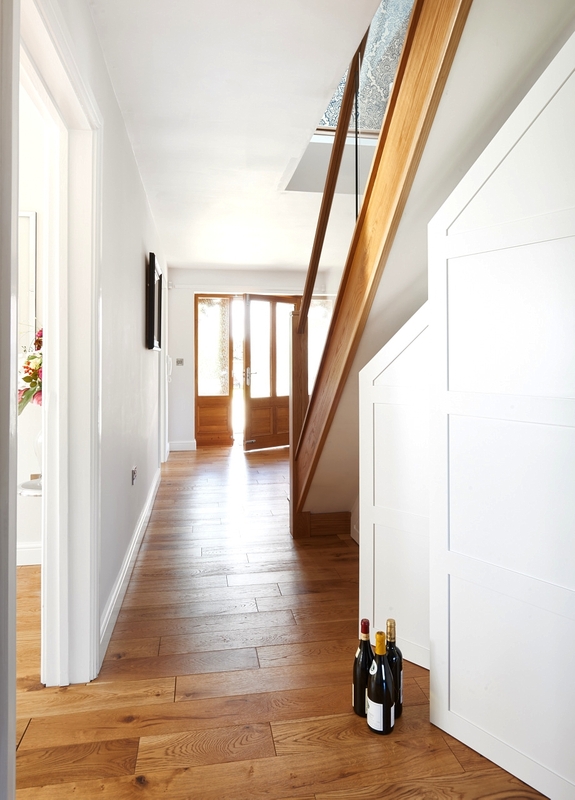 If you want to find out more about how you could achieve a similar result in your hallway, get in touch today.